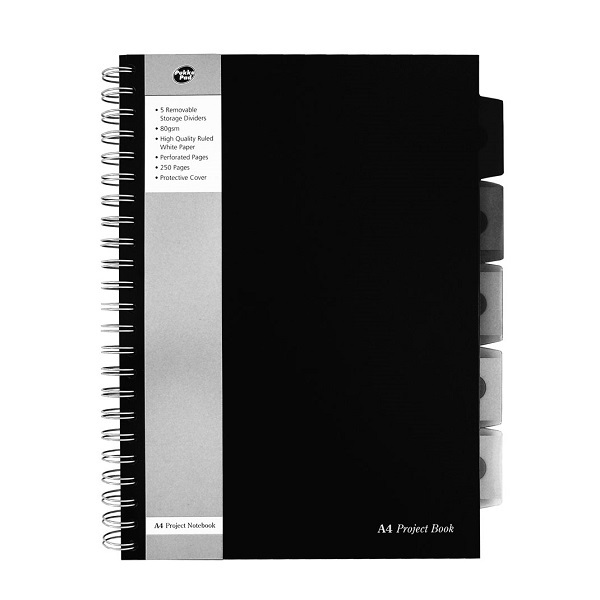 This twin wire bound notebook is designed for business professionals seeking design, style and sophistication in a quality notebook. 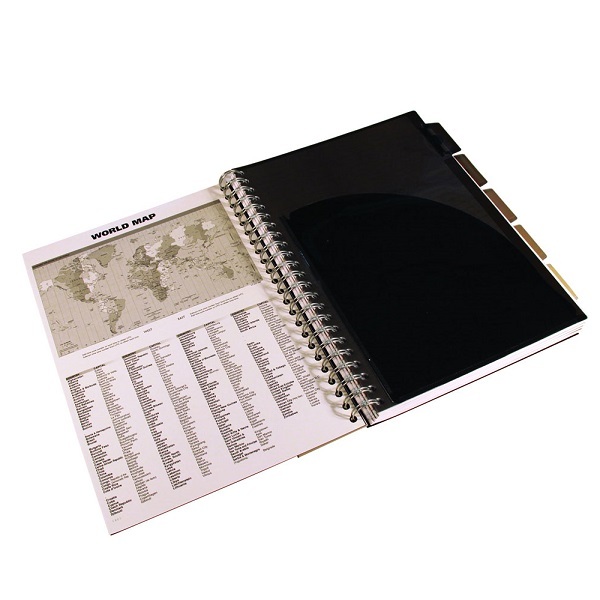 Movable PP storage pocket dividers (A4 = 5 dividers, A5 = 3 dividers) in classic translucent colours. 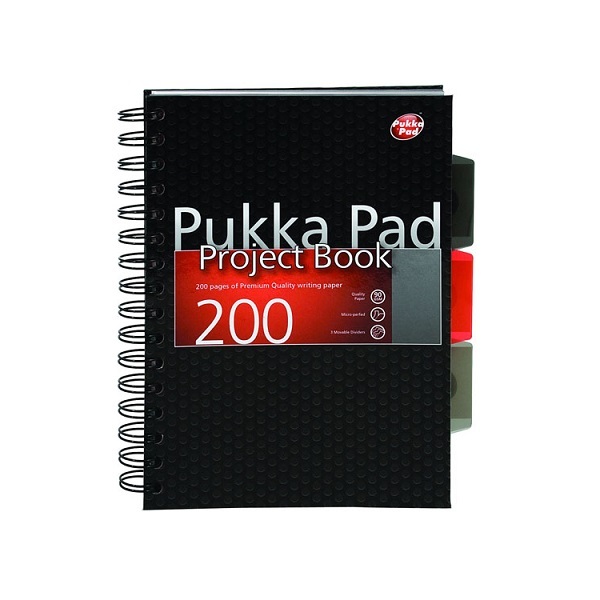 Individual Project Book in either A4 or A5 size. 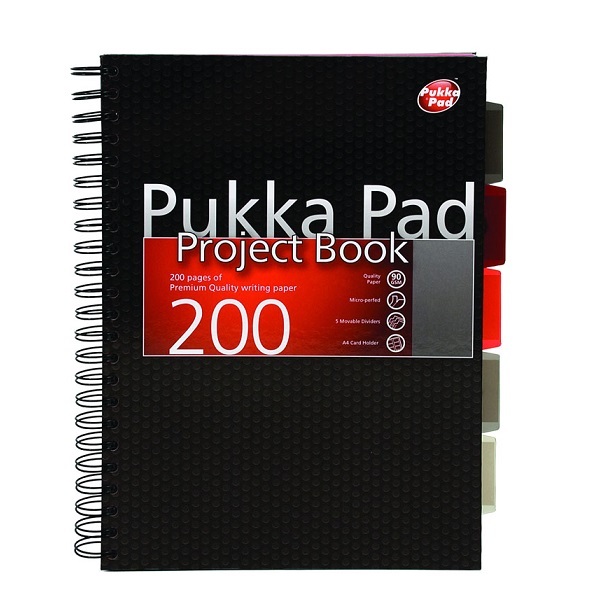 This twin wire bound project book is designed with multiple features to keep you organised and in control while looking professional. 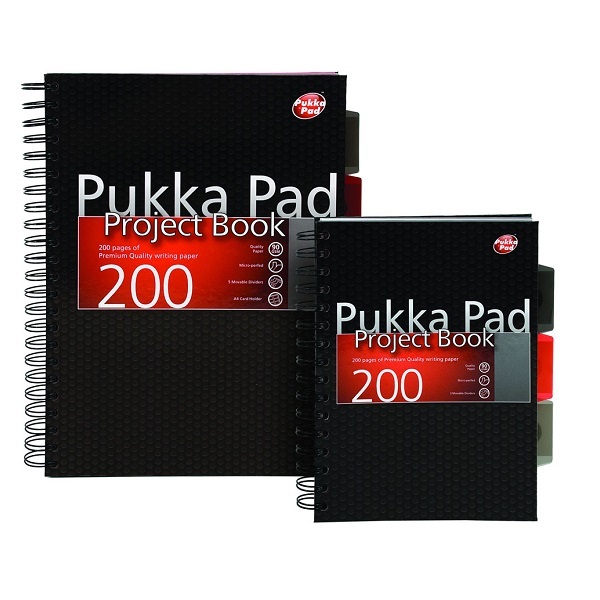 Complete with 5 x movable PP subject dividers in translucent shades with rewritable tabs and note pouches. Personal details, name directory, world map with a list of countries and capitals reference page.